Good news, Kanon comes back in October with a new single! She will sing the opening for the second season of WIXOSS named 「selector spread WIXOSS」. The CD will be released on October 15. No more information about the title or the possible B-side now. 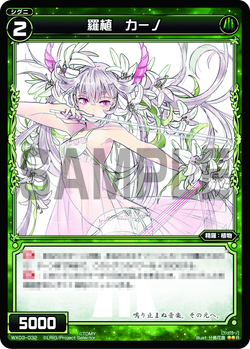 And finally Kanon drew this character for the card game WIXOSS.